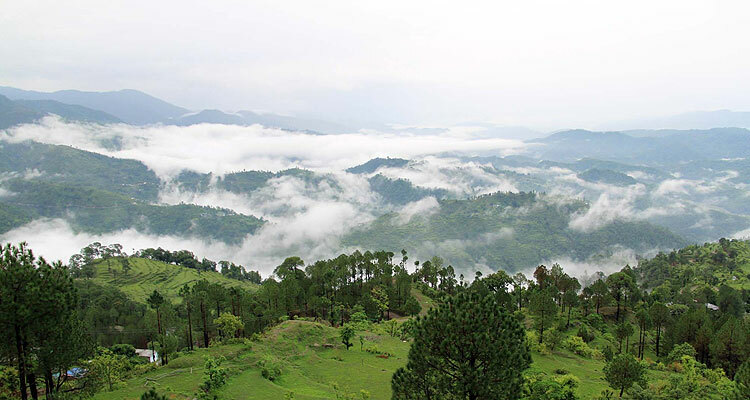 The green hill station of Lansdowne is one of the best places from Delhi to enjoy a fun filled weekend. Filled with some ancient and picturesque picnic spots, the town of Lansdowne never fails to attract people from the neighbouring region. Let’s take a look at some of the attractive wonders of Lansdowne. Amongst the best places to visit in Lansdowne here are some of the best ones. Bhulla Tal – The Bhulla Tal is one of the most beautiful picnic spots in Lansdowne which is renowned for its boating activities. The Bhulla lake is a small artificial lake which is constructed by the younger squad of the Garhwal Rifles, and is dedicated to the community of Garhwal especially the youth. The word Bhulla actually means ‘ younger brother’. The unpolluted banks of the lake is also home to several migratory and few rare species of birds. You can try a ride on paddle boats, speed boats and explore the other fascinating surroundings near the lake. Garhwal Rifles War Memorial – The Garhwal Rifles War Memorial is dedicated to the brave soldiers of the Garhwal Regiment, who lost their lives protecting the borders of their motherland. The memorial is one of the famous monuments to explore in the hill station of Garhwal and was established in 1923 by the then Commander in Chief of India Lord Rawlinson. During Independence Day and Republic Day, the regiment conducts hoisting of the national flag and also presents mesmerizing rhythmic parade. Darwan Singh Museum – The Darwan Singh Museum, also known as Garhwali Museum was established in 1983 is located quite near to the Garhwal Rifles War Memorial. The museum is one of specimen of Lansdowne tourism and is known for displaying a collection of rare photos, military uniforms, artillery used by the British forces and other defence related items. The museum was named after Officer Darwan Singh Negi, who was the first Victoria Cross holder from Garhwal Regiment. The museum premises also houses a beautiful flower garden with terrific green lawns. The garden also has about 10-12 different varieties of roses to appreciate. Bhim Pakora – The name sounds unusual though, but indeed Bhim Pakora is one of the most exciting tourist spots in the hill station of Lansdowne. The curious thing about Bhima Pakora is that the spot has stones of different sizes placed together, forming a perfect balance and without ever falling down. The spot is situated in the forested area which can be reached after a trek of more than 2km.